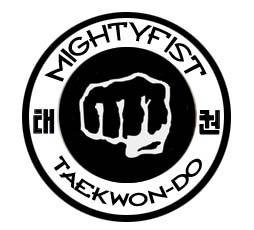 Twice a year ITF-Belgium organizes the Day of Taekwon-Do. The second seminar of 2016 was held in Jambes, Centre Sportif Adeps, Sunday November 6th, with 10 instructors conducting classes for 112 participants, who were divided into groups according to their age and degree. Participants came from all schools affiliated to ITF-Belgium and ITF Luxembourg. After the warming-up juniors and seniors followed classes in sparring (Patrick Crevecoeur, V°), tul (Annick Van Driessche, VI°), power breaking (Jan-Philip Wassenaar, II°) and hosinsul (Erik Van Hoeck, III°), while some of the black belts had the opportunity of having private tul sessions with Master Frank Vanberghen (VIII°) and Eddy Van Damme (VI°). The instructors for the children were Tom Van De Sijpe, IV° (special techniques), Jan Lauwereins, I° (hosinsul), Yves Pollefeyt, VI° (sparring) and Virginia Dionisi, VI° (tul). All participants received a certificate.